The Centers for Medicare & Medicaid Services issued a new final rule within the Inpatient Prospective Payment System regarding hospital price transparency in 2018, and the new rule took effect on January 1, 2019. The rule continues the CMS mission to streamline patient-provider interactions by empowering patients to shop for their healthcare based on hospital costs. Healthcare administrators need to understand the implications of this change. Increasing price transparency and giving patients access to financial information for services and supplies improve value-based care. Such access reduces the administrative burden of preparing price quotes, considering patient concerns over costs, and more. The result empowers patients to make an informed decision about which hospital to visit for care. 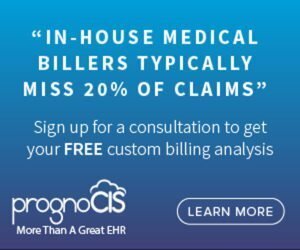 For example, patients may review the price structure to determine expected costs after insurance claims or even how the hospital’s costs compare for the geographic area. Patients may also use the information for selecting health insurance plans based on expected costs for services. Knowing what to expect ensures patients choose an appropriate plan to cover their needs. The rule also updates prior requirements regarding a public list of standard charges or protocols for providing a list upon request. Past requirements allowed hospitals to offer the list in any format, and the previous version did not require the posting of information online. The new rule mandates an online list of charges in a digital, easy-to-read, and easy-to-access format. The CMS issued additional guidance in December for why a PDF format failed to meet these criteria and advised the use of an XML or CSV format. What About Healthcare Facilities in Compliance With Existing State-Mandated Price Requirements? CMS gave a wide interpretation to hospitals for the implementation of the rule with the release of five frequently asked questions in September 2018. However, disagreement and uncertainty led to the creation of a new list of questions in mid-December 2018. The new document emphasized all hospitals operating within the U.S. are subject to the new requirement. Hospitals must publish the prices for all drugs, biologicals, services, and other items in an online format. Besides, hospitals must publish standard charges for diagnosis-related groups too, reflecting the unique services and charges associated with major healthcare needs, such as surgery or treatment of chronic illness. Most importantly, hospitals that already possess a machine-readable format of the chargemaster for compliance with state-mandated rules must update the document to reflect the requirements of the new rule. What About CMS Reimbursement and Incentives for Healthcare Providers? When healthcare providers upgrade systems to use an EHR or offer online access to consumers, overhead costs increase. The new rule tackles the added expenses for healthcare providers by effectively increasing the reimbursement for providing care, and such reimbursement is based on the type of facility. For example, the new rule increases the standard federal payment rate by 1.35 percent. Long-Term Care Hospitals (LTCH) will see increases of 0.9 percent. At the same time, CMS is considering the elimination of the 25-percent threshold for reimbursements. This will have the net effect of lowering the cost of providing care. How Does the New Rule Impact EHR Access? Hospital administrators remain concerned over how an implementation of the new rule will affect consumer choices. Considerable variability exists in determining exact costs for procedures due to different insurance coverages, complications, personal health histories, and more. As a result, it is difficult for healthcare providers to determine the exact costs for each consumer in a public setting. To fulfill the requirements of the new rule and maintain a transparent cost conversation, some hospitals are turning to cost-inclusive EHR systems. 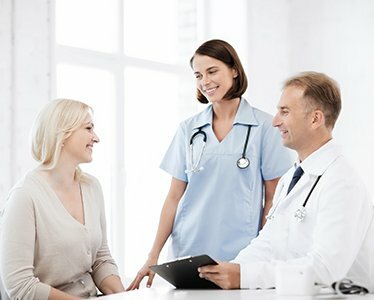 A cost-inclusive EHR considers a patient’s unique data and factors affecting cost, such as insurance, to determine more accurate costs of care. However, making information available through patient portals alone does not satisfy the requirements for placement in an online, publicly available location. More information empowers consumers to make choices based on their costs, not just the costs of a self-pay patient. Although the CMS has not yet issued a list of repercussions due to failure to comply with the new requirement, they will likely come out soon. Healthcare providers can infer a few likely outcomes, including revocation of eligibility for incentivized programs, financial penalization, and poor ratings posted on the CMS website. Therefore, it is your best interest to ensure your facility updates and posts a full cost breakdown for all charges immediately. Also, remember to upgrade to the 2015 Edition of CEHRT, and at your preference, consider integrating your cost schedule with the EHR to allow for more accurate pricing for consumers. Taking these simple steps will ensure compliance.